Jayanta Jenkins Named to Top Creative Post at Twitter. 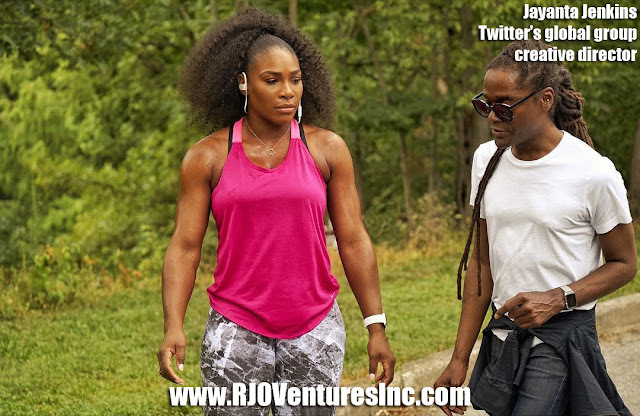 Featured at RJO Ventures, Inc. For Promotional Use Only. His previous positions held were at Beats, Nike and Gatorade. Twitter has named the advertisement industry veteran its global group creative director, Twitter's highest creative role. 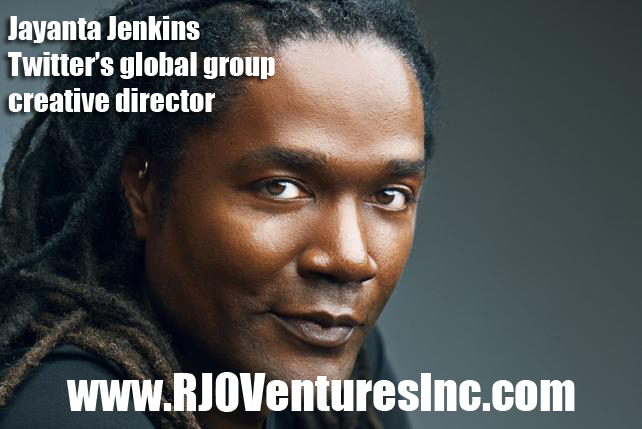 Jayanta Jenkins most recently served as global creative director of advertising at Apple/Beats by Dre. He will oversee Twitter's in-house creative team, reporting to VP-Global Brand Strategy Joel Lunenfeld. "It's an extremely exciting opportunity to go from a successful advertising career into a new type of leadership role," Mr. Jenkins told Ad Age. "For me, this was exclusively about challenging myself and looking to do something that completely disrupted my approach and what people look at me as having done."